The advantage of using this technique is that you are free to move any part around without being influenced by any parent layer. 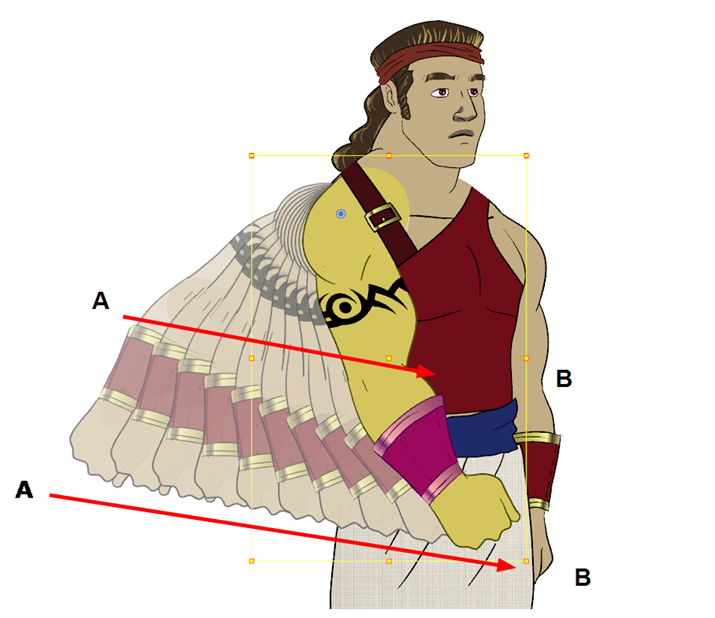 When you want a part to follow another one, such as the forearm following the arm, you can attach the layers one to the other. 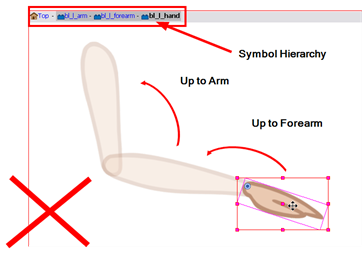 For example, you can attach the forearm layer to the arm layer without having to encapsulate the forearm into the arm layer. 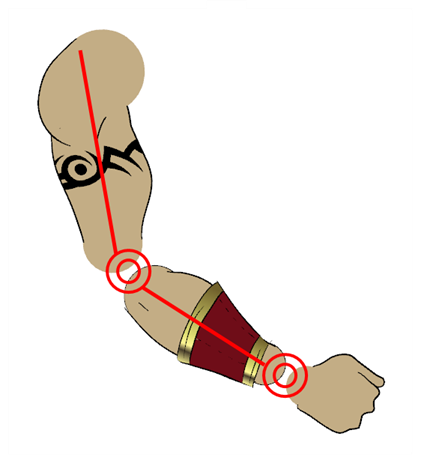 They will still be parented, but you will be able to access the forearm directly without having to enter the arm layer. Parenting layers such as the arms and legs and letting the torso and hips independent from those is often a good solution. To attach one layer to another, you have to drag the desired layer onto the other one in the Timeline view. This method is not recommended. For efficiency in your production, do not encapsulate symbols inside symbols. 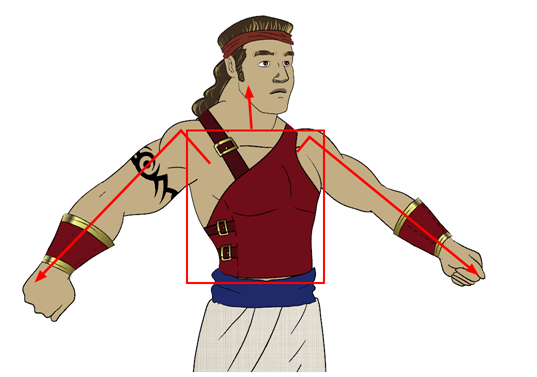 When you are doing more advanced puppet rigging, you can use peg layers. 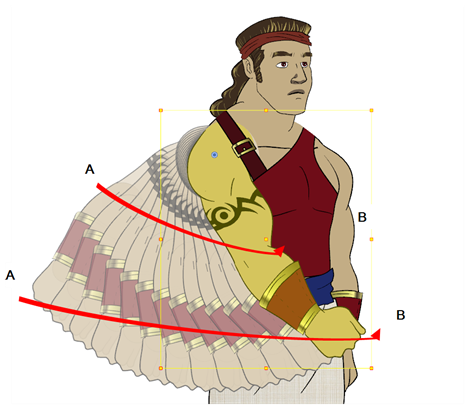 Peg layers are trajectory layers that do not contain drawings. They are motion paths that you can use to control your entire puppet or advanced hierarchies. 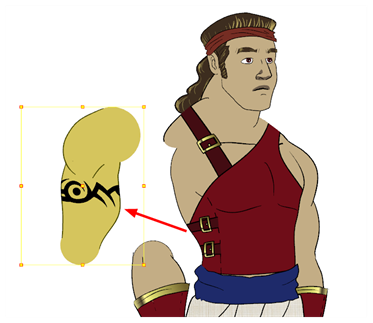 Parenting a drawing layer to a peg layer allows you to divide your motions on two separate levels. This way, you do not affect any child layers that could be attached to that part. 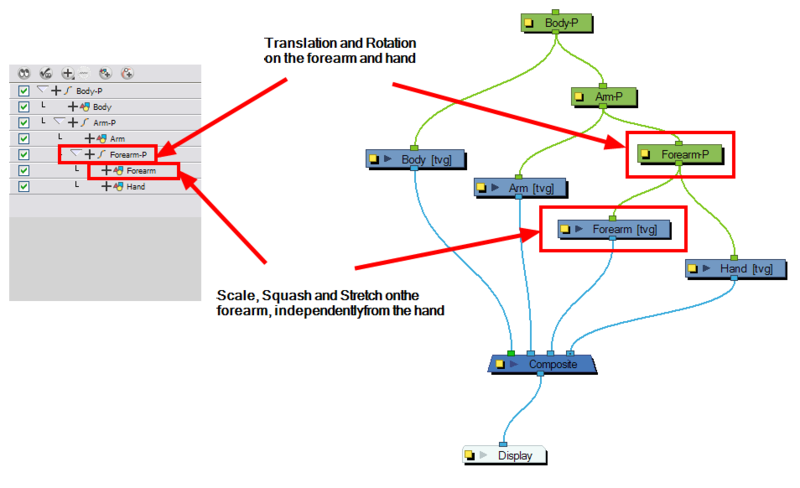 Then, you can perform your translation and rotation on the peg layer so that all the parts attached to that peg layer follow the same trajectory.